Botanical Nutrition™ Therapy offers personalized, integrative nutritional therapy specializing in optimal wellness through the increased consumption of plant foods, botanicals, and supplements as needed. 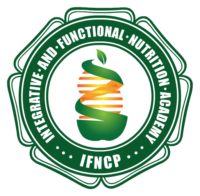 Founder Denise Garbinski, RDN, MBA, IFNCP is a plant-powered Registered Dietitian Nutritionist with a Bachelor of Science in Dietetics and Nutrition Science and Board Certification as an Integrative and Functional Nutrition Certified Practitioner through the IFN Academy. 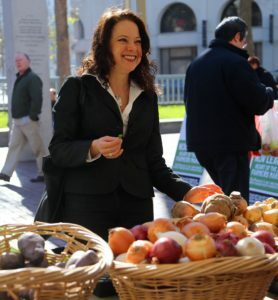 Denise’s expertise is in plant-based functional medicine nutrition therapy but she has extensive experience counseling both omnivores and vegetarians. Combining evidence-based nutrition science with the tenants of integrative medicine, Denise provides functional medicine nutrition therapy for a variety of concerns including adrenal fatigue, thyroid health, weight gain and obesity, food allergies and intolerances, digestive disorders, heart disease, diabetes, cancer and more. Nutritional diagnoses and therapies may include functional testing, nutrigenomics, therapeutic meal plans, dietary supplements, and referrals to other integrative practitioners as appropriate. Denise’s coaching philosophy is to help her clients with the knowledge and tools they need to heal their body naturally, the way nature intended. Denise is an Advisory Board member of the IFN Academy. She’s also a member of the Institute for Functional Medicine and active with numerous practice groups within the integrative practitioner community. Denise is proud to be a former member of the Academy of Nutrition and Dietetics (AND) and the Dietary Practice Groups for Integrative and Functional Medicine, Hunger and Environmental Nutrition, and Vegetarian Nutrition, memberships she is not permitted to keep unless she supports AND. Denise has spoken out against dietitian’s renewing their AND membership in protest of the Academy’s current corporate sponsorship practices and is a co-Founding member of Dietitians for Professional Integrity. Read her statement of concern here. Whether you are seeking nutrition therapy for dis-ease, weight loss, food sensitivity support, meal planning advice, or general optimal wellness, we can help you determine and reach your nutrition goals. We conveniently provide personalized tele-health nutrition consulting online and via phone. Home or office visits, grocery store tours and pantry audits are also available depending on your location. Fees vary by service and are based on the nutritionist’s time. Services vary from nutrition therapy consulting for individuals, couples, or families and can be scheduled as a one-time consultation, multiple sessions, or on-going therapy sessions for which money-saving discounted packages are available. To learn more, contact us.